With over 12 years of experience, Mandie has enjoyed a diverse and well-rounded bodywork and teaching career thus far. 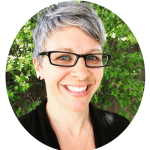 Amanda Rovere graduated from the Boulder College of Massage Therapy in 2004 and specializes in an integration of neuromuscular therapy, myofascial release, therapeutic and Swedish massage techniques. Mandie especially enjoys treatment-oriented, client-tailored bodywork, making each session unique and effective. She has held several instructor positions in numerous massage therapy schools, teaching Trigger Point Therapy, Reflexology, Therapeutic Massage and Orthopedic Massage. Mandie is passionate about bodywork and the continual rewards of working with a variety of clients, offering the ability to tailor each session using many years of experience, training and compassion. She has a knack for finding the “spots” that need to be found, and prefers to spend quality time on problem areas to completely relieve symptoms and achieve goals. She is thrilled to pair teaching massage therapy with her small, regular private practice. Sharing her passion and experience with massage students is very fulfilling and fun, and it helps to keep her skills sharp and continually evolving. As a Colorado native, Mandie enjoys yoga, being outdoors, and spending time with her husband and two small children.